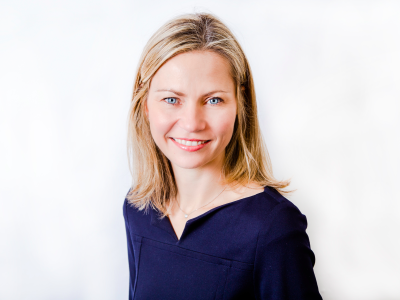 Tracey Abayeta is Head of the Investment Banking, Asset Management and HerCapital Programmes at SEO London. SEO London is an alumni driven charity that works with students from BAME and low socio-economic backgrounds to achieve career success in the most competitive industries. In 2017, Tracey originated SEO London's HerCapital Programme that aims to build a strong pipeline of confident women entering into financial services. The programme has been hailed for its innovation and ability to get female students to live outside their comfort zones. As a product of opportunity, Tracey is a firm believer that we all need a platform to develop throughout our journey and that both leadership and confidence is built over time. Tracey started her career within Investment Banking at Citi where she structured capital instruments for financial institutions. She is pleased to be using her skills to now structure effective training programmes for the students she works with. Tracey also sits on the non-executive Board of a Community Interest Company called Bright Futures 4All that seeks to promote greater equality of educational opportunities for adults and children. Her involvement with this company is important to Tracey as she is a living example of how opportunity can change the destiny of one’s life. At the age of 10, she was awarded a full scholarship to attend a boarding school (Ardingly College) which she believes changed the course of her life forever as it gave her access to unprecedented opportunities that her parents would not have been able to afford. Tracey later studied Economics with French at the University of Nottingham. 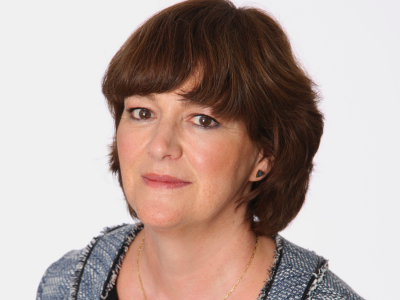 Margaret is the Deputy Head of the London Insurance Recovery Group. She is the immediate past Chair of the Insurance Committee of the International Bar Association. Margaret specialises in marine and non-marine insurance and she has extensive experience of representing clients in both arbitration and court proceedings. She has particular expertise in coverage disputes, involving commercial and mortgage indemnity insurance, finance insurance, marine cargo insurance, energy risks, political risks, directors’ and officers’ insurance and reinsurance. She advises on Warranty and Indemnity insurance and due diligence in mergers and acquisitions. Clients include banks, energy companies, major ship owners, P&I Clubs, brokers, policy holders and their errors and omissions underwriters. On the professional negligence side, her main area of practice is in relation to brokers’ defence work and solicitors’ defence work. She has also acted for a banking client in a successful multi-million claim against a firm of valuers. She has represented professional negligence clients in the High Court and in mediations. Margaret is an accredited mediator with CEDR and ADR Chambers. 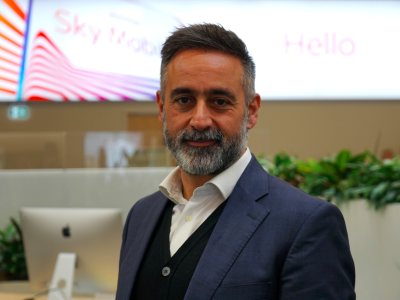 Chris Stylianou is Chief Operating Officer, UK and Ireland at Sky. He has worked at Sky for over 20 years in both Finance and Operations. He is responsible for Sky’s sales and service operations as well as the property and data departments, Sky Business and Sky’s ROI Business. Chris is the Executive sponsor of Sky’s Women in Leadership (WiL) programme, driving Sky’s ambition to reach a 50:50 gender balance. To do this, Chris works with the core WiL team to create a wide variety of initiatives to encourage gender parity and female advancement. Chris actively champions gender diversity at Sky by speaking internally and holds fellow executives accountable to their departmental targets with regular reviews. Through the WiL programme Chris sponsors a number of women, and has 12 women in high profile leadership roles within his department. Externally, Chris is a ‘Male Agent of Change’ and sits on the Women’s Business Council. Kate has over 15 years experience in the Private and Family office sector, as a PA, EA, Chie f of Staff and Family Office Manager, managing thelives​ ​of​ ​high​ ​&​ ​low​ ​profile​ ​UHNWIs​ ​(Ultra​ ​High​ ​Net​ ​Worth​ ​Individuals). UMBRA Inte rnational was set up by Kate in 2012 initially to represent and place elite female security professionals. This stemmed from having worked alongside Close Protection (CP) teams after having been CP trained herself during her time spent in family & private offices (​www.umbrainternational.com​). Female Close Protection is seen as a key asset in the private security management of the modern UHNWIlifestyle. UMBRA’s client base has grown over time, now working on a project and retained basis to help source, secure, protect and procure individuals and assets for clients - both corporate and UHNWI - in the UK and globally. UMBRA sources personnel across the PA/Chief of Staff and Security functions from both top tier civilian and military backgrounds. Recent projects have included building out teams of civilian and ex military personnel in Private & Family offices following relocation and divorce, advising FTSE100 companies on military transition, and creating Private Client​ ​departments​ ​for​ ​large​ ​multinationals. Kate is a founding member of a Chief of Staff & PA network (The Network) that meets monthly in London in collaboration with top suppliers from leading luxury brands to support those working for high profile and UHNWIs. The Network is widely regarded as one of London's most influential groups of gatekeepers due to the nature of its members’ work with their clients and bosses. She headed up the launch of The Network UAE which launched in Dubai in 2016 and has just overseen The Network NYC launch in the US. This has helped UMBRAs network expansion​ ​to​ ​be​ ​truly​ ​a​ ​global​ ​one. Kate is part of the Committee for the Veteran charity ‘Supporting Wounded Veterans’​, ​helping raise awareness, sponsorship & funding through its yearly Business Challenge event in Klosters, Switzerland. She is also a Veteran Aid ambassador helping to support and lobby for the real issues facing the veteran community. She is a passionate supporter of Veteran transition into meaningful civilian life and employment both​ ​in​ ​a​ ​professional​ ​and​ ​personal​ ​context,​ ​having​ ​undertaken​ ​recent​ ​physical​ ​challenges​ ​alongside​ ​veterans​ ​to​ ​raise​ ​money​ ​in​ ​this​ ​area. 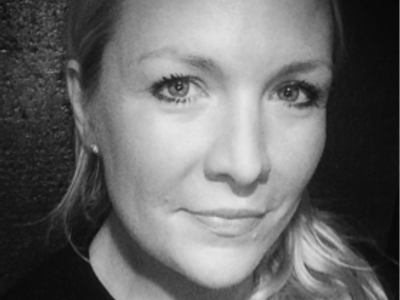 Katie joined the BBC in 2014 as Development Director working to the Director of News & Current Affairs. She was appointed to the BBC News Board in 2016. Katie leads on a number of areas from leadership development to entry-level talent with a particular focus on diversity. She has pioneered new programmes such as the BBC News Women in Leadership Programme and Women in Technical Production Programme. Katie also runs the pan-BBC outreach project BBC School Report and recently devised and launched the BBC’s work educating young people on how to identify ‘fake news’. Previously, Katie had been Deputy CEO of Media Trust where she oversaw PR, public affairs, youth media projects and the award winning in-house film production unit. Katie launched the youth outreach work which benefited more than 20,000 disadvantaged young people across the UK. She also managed Media Trust’s key strategic partnerships with companies including Channel 4, Sky, BBC, ITV, News UK, DMGT and Google. 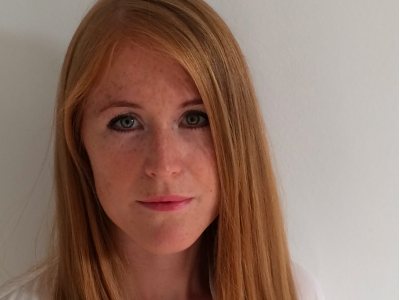 Katie was recognised as one of PR Week's top '29 under 29' professionals in the UK. The documentary ‘Summit About the Boy’, which promoted the values of mentoring and that she was executive producer on, won in the best television category at the IVCA Awards. She was shortlisted for the Women of the Future Awards and featured in GQ’s best connected women in the UK list. Katie is a Fellow of the British-American Project. Katie is married and a mother of two little boys, Harry and Raphael, and lives in London. Captain Ellie Ablett MBE - The daughter of an RAF Officer, I read Modern History at Somerville College, Oxford and joined the Royal Navy in 1993, in the first wave of women joining a fully integrated service on the closure of the Women’s Royal Naval Service. 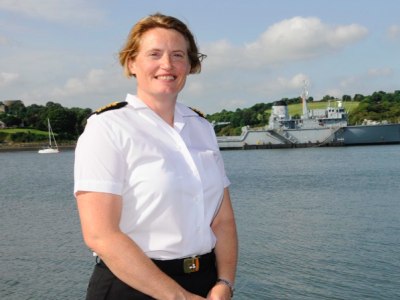 Over the last 24 years, I have enjoyed a career as a Logistics Officer at sea and ashore, rising to the rank of Captain where I have held two prestigious roles - Secretary to the First Sea Lord, the professional head of the Royal Navy and Commanding Officer of HMS RALEIGH, the Royal Navy’s Initial Training Establishment at Torpoint in Cornwall; I am the first woman to hold these roles. During my career I have served at sea on board the aircraft carrier HMS INVINCIBLE, the Amphibious Assault Ships, HMS FEARLESS and HMS BULWARK, the frigate, HMS BRAVE, and the Type 42 Destroyers, HMS EDINBURGH and HMS NEWCASTLE. In an increasingly joint working environment, I deployed on an operational tour in Iraq in support of a 3-star Army General and UK military personnel serving in Baghdad. Ashore, highlights have included provision of executive support to the Senior Officers, policy development for pay, allowances and pensions, managing the implications of Defence-wide change programmes on people and supporting international partnerships and planning for the UK contribution to operations in Afghanistan. A graduate of the Advanced Command and Staff Course, I achieved a Master of Arts in Defence Studies from King’s College London and was awarded a Cormorant Fellowship for academic excellence. In 2014 I was one of 12 senior officers selected to represent the UK at the US/UK Rising Leaders’ Forum in Washington, DC. A keen interest in promoting effective talent management and an inclusive culture across the organisation led me to found a professional network for women in the Naval Service in 2013, which I still lead as it goes from strength to strength. I was honoured to receive the MBE in the 2014 New Year’s Honours List. I’m married to and supported by Simon, a former Royal Navy Weapon Engineer Officer, who now runs his own outdoor sports coaching and guiding business. I too have a passion for the outdoors and enjoy hiking, cycling, sea kayaking and stand-up paddleboarding, and spend any remaining spare time in my garden. 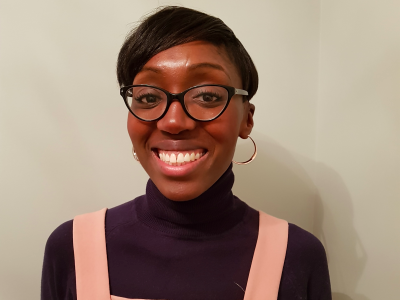 Dominie Moss is the founder of The Return Hub, a unique recruitment firm designed to fill a significant gap in the executive search market by connecting women returning from a career break with financial services organisations. Dominie has 20 years’ experience in the financial sector, 16 of which she spent as a City headhunter. Before setting up The Return Hub in 2016, she worked at JD Haspel as a Partner and co-lead of the Global Banking and Markets practice. Prior to this, she was Managing Director at Sheffield Haworth where she established the FX practice before becoming Global Head of Fixed Income and Currencies. During her career she completed numerous leadership assignments for a range of global clients in FX, rates, credit and emerging markets in sales and marketing, trading, structuring, e-commerce and corporate risk solutions. Prior to starting Abounding Solutions, I worked for the Ministry of Justice. I started off in one of the most junior positions in a magistrates' court and worked my way up to a senior position of Group Court Manager, with strategic responsibility for operations for the group. I started Abounding Solutions in 2012 after taking voluntary redundancy. 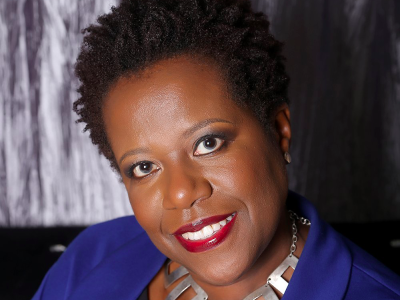 I am Director of Abounding Solutions and I'm an Executive, Career, Business Coach, Speaker and Writer, helping women (with an emphasis on introverted women) to break through barriers and thrive in their careers and businesses. In 2015 I was named as one of Britain’s top 50 Business Advisers by Enterprise Nation for the work I do with women starting businesses. In December 2017, out of 21 million UK users, I was one of 12 people selected as a LinkedIn Top Voice UK. I have been told that I am one of the favourite speakers of the RBS women’s network. I qualified as a Physical Education teacher in 2000, as the first ever South Asian P.E teacher in England, this story was acknowledged by BBC news. I grew up in the city of Leeds and played county cricket and badminton until the age of 19, after that I found myself having to look after my father's restaurant throughout my further education as he had a triple bypass and was no longer been able to work. I found myself refusing Loughborough and accepting Leeds as I needed to be working every evening throughout my Sports Science degree. I first started working at Carlton Bolling in 2001 and immediately accepted the cultural differences of those in Bradford to those In Leeds. I stay back most days until 6pm, a couple of hours after my colleagues have left for the sole reason of giving the children an opportunity in life to develop dexterity and social skills. In 2014, I started the first ever South Asian girls cricket team where I constantly had to fight social, cultural and religious barriers which till this very day I still have to face. In 2015 I won the BBC teacher of the year award, the same year my girls cricketers won their first ever county final especially after everyone, including several members of our own school had written them off. In 2017 I won the secondary teacher of the year award at the T&A teacher awards, later that year I won the National Pearson teacher award. My teaching career as whole has been up and down, maybe due to the mere fact of my loyalty and the chances I give to the students to better themselves. My career as a teacher has suffered many set backs and difficulties but I have never once drifted from helping the children chase and follow their dreams and ambitions. In May 2018 I have been invited to a Royal Garden Party which is hosted by Her Majesty the Queen for my services to Education. I appeared on Sky Sports international news, and was invited to Lords cricket ground to meet some of the England cricketers I have also, appeared on countless news broadcast ranging from BBC to ITV. 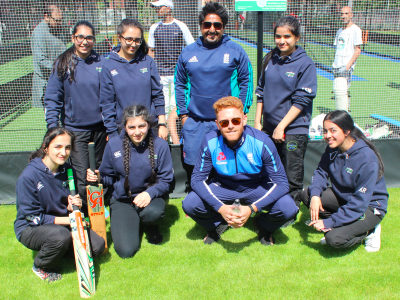 In April, BBC have commissioned a documentary about myself and the girls cricket team following our journey of changing and breaking typical stereotypes for many Asian girls, 'Back Streets Of Bradford To The Success Of Bollywood'. 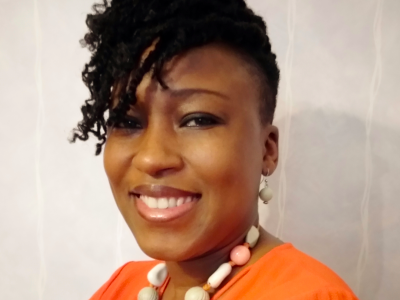 Dr Shola is a dual qualified New York Attorney and Solicitor of England & Wales with over a decade of financial services experience working in-house as a trusted senior legal advisor to heads of business and stakeholder partners. Her experience includes providing strategic legal risk management to SMEs and large organisations. She is experienced at facilitating effective decision making to deliver key mandates; brokering strong alliances and cultivating productive relationships to influence and shape outcomes; and demonstrating leadership and mentoring qualities that drive forward developments within respective areas of responsibility www.legaldistinction.com . She is the Co-Chair of the American Bar Association (ABA) Africa Committee responsible for managing the 400+ member Africa committee in the ABA Section of International Law, which includes managing the basic operations of the Committee, initiating projects of interest including programs (Seasonal Meetings, Forums, and committee non-CLE programs), policies, publications (including Committee newsletters) and communications (including Committee webpages). Liaising and interacting with high-level attorneys within the ABA and forging new relationships externally to contribute to African legal affairs. She is the Executive Board Director of the Centre for African Business Education (CABE), a UK based institution focused on the development and exchange of practical knowledge on doing business in Africa but also on Africa doing business globally. She also sits on the steering committees of a number of organisations including (i) the International Law Section of the ABA; (ii) Women’s Equality Party; and (iii) Women’s March Global, to help shape and drive positive outcomes on key mandates. Dr Shola is an activist for women rights and one of the organisers of Women's March London. She was at the forefront of the 2017 and 2018 Women's March and Time's Up rally in London. She has written a number of articles addressing the challenges faced by women and tackling the difficult issues; and featured in British Vogue, Huffington Post, Telegraph, RED, Stylist, Evening Standard, The Voice among others.